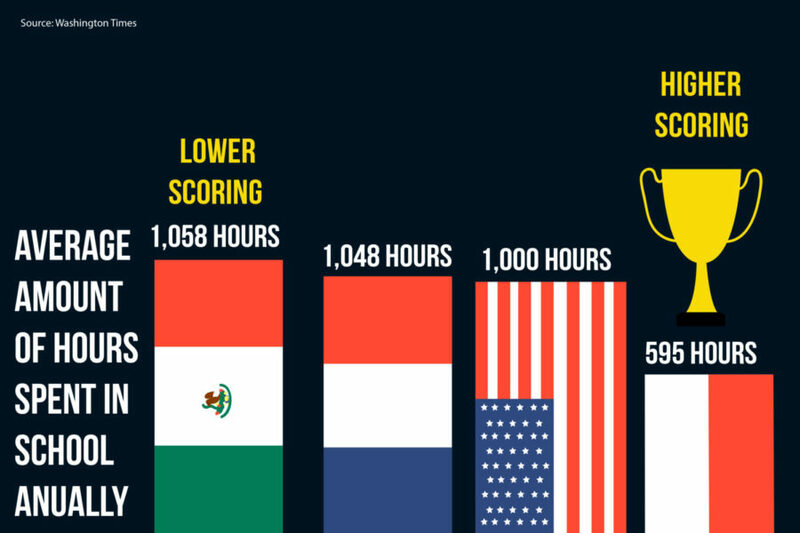 Statistics have shown that Poland students perform higher scores on the international exam called the PISA exam by only spending 595 hours in school while other countries spend around 1000 hours in school annually. 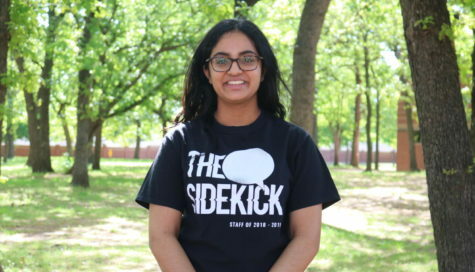 The Sidekick Staff Writer, Shreya Beldona discusses the many negative effects that long school hours can have on students and faculty. 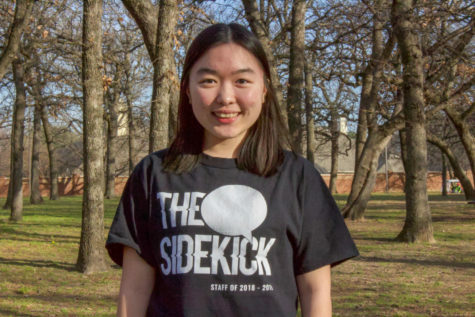 In a dim-lighted classroom at 3:30 p.m, students eyelids slowly close as they begin to drift off to sleep. As the day progresses, students’ attention levels drop. Traditional school hours have become too long, and it is affecting students and their performance in school. The problem stretches deeper than students falling asleep in class. Attention spans of teenagers are around 10 to 15 minutes, yet classes are 90 minutes long. Many classes take a “brain break” or a short, three to five minute rest period during class, but this might not be enough to maintain students attention levels. Brain breaks should be utilized more than once in class for increased productivity, however some classes utilize only one brain break. Decreasing attention levels can also be attributed to increasing fatigue levels. According to a 2006 study from the National Sleep Foundation, 45 percent of teenagers get less than the recommended eight hours of sleep. Additionally, more than 25 percent of high school students admit they fall asleep at least once during class in a week. With the increase of technology and other factors contributing to teen sleep deprivation such as caffeine, it would not be wrong to say these numbers have increased. Additionally, having traditional hours makes it difficult for students who balance jobs and school or are involved in extracurricular activities such as sports. Having school days that are more flexible to a schedule allowing for part-time work would be of great benefit to several students at CHS. Starting earlier might be of benefit to some students, but starting at later times can help improve performance during school hours. The circadian clock, or the internal biological clock, shifts during adolescence, requiring students to wake up at earlier times when they should be sleeping. More than 50 percent of high school seniors go to bed at 11 pm or later and wake up at around 6:30 am for school. This means that more than 50 percent of high school seniors get 7.5 hours of sleep or fewer, when the recommended is 8.5 – 9.5 hours. Public schools function on a number of hours that need to be met. School districts can then decide upon a school schedule which meets those requirements. Though having longer school hours can shorten the amount of days of school, having shorter, more flexible days can lead to greater productivity and better test scores. Having less school hours, even at the elementary level, has been connected to higher test scores. As of 2011, Texas required 1,260 hours of elementary school whereas South Korea required only 703 hours. Yet, South Korea scored higher on the Program for Initial Student Assessment (PISA) than other countries. One solution to allow for flexibility is to have a “college-style” schedule available for students. This would allow students to choose when their classes are. If a student has a job in the morning, a college-style schedule would allow them to attend classes in the afternoon. With the changing environments influencing teenagers, traditional school hours should adapt to maximize productivity while still being flexible and accommodating for students.